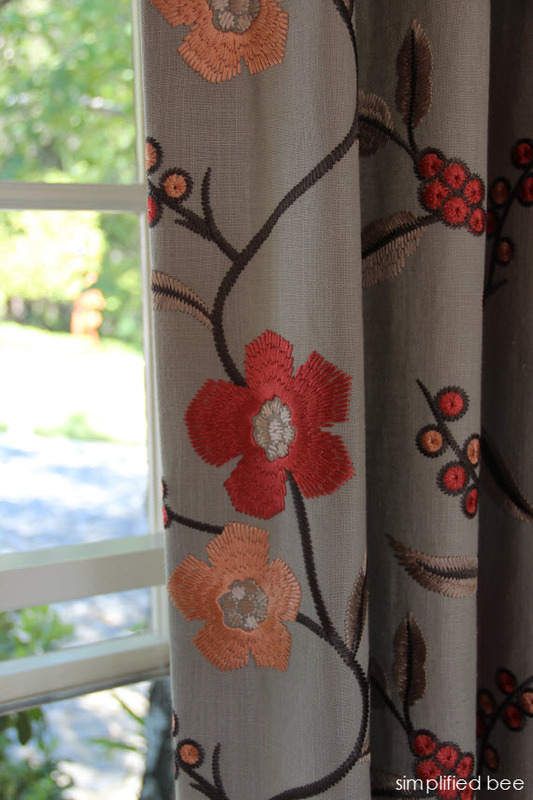 Interior Designer, Christine Sheldon was inspired by the beautiful views of the estate when designing the Mother-in-Law Suite for the Peninsula Volunteers Decorator Show House. 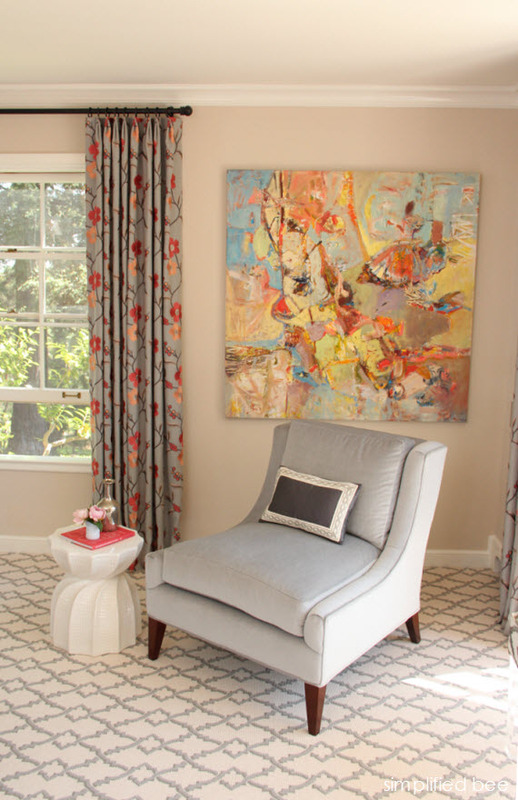 For the room which receives wonderful natural light from windows positioned on the north, south and east walls, Sheldon selects a restful color palette in shades of gray and adds an energetic coral for accents. The vibrant accent is most evident in the velvet upholstered headboard, but is also repeated in the embroidered drapery and artwork throughout the space. An elegant armchair covered in gray mohair fabric created the perfect place to curl up and read a book. 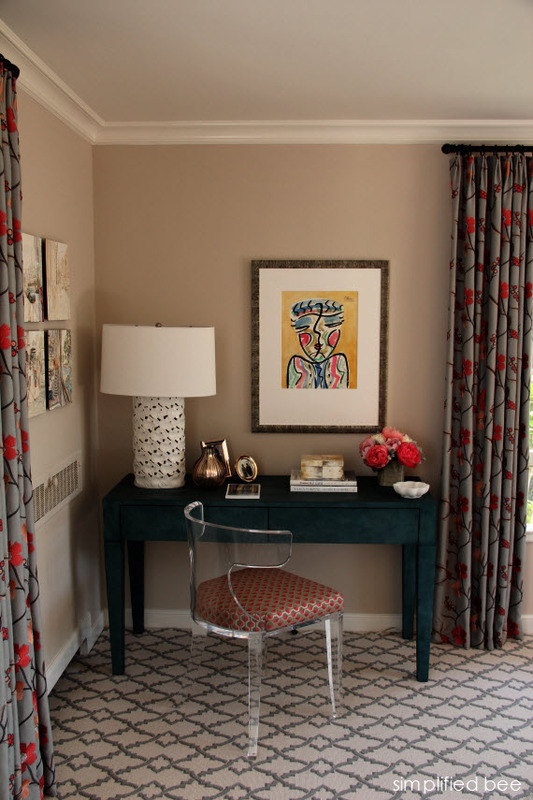 Providing guests with a comfortable place to work or write, Sheldon places a desk finished in a smoky blue shagreen is paired with a chic lucite chair in the room’s corner. It topped with beautiful accessories including fresh flowers, horn covered box and a crisp white table lamp. It is a delightful retreat. Wouldn’t you agree? 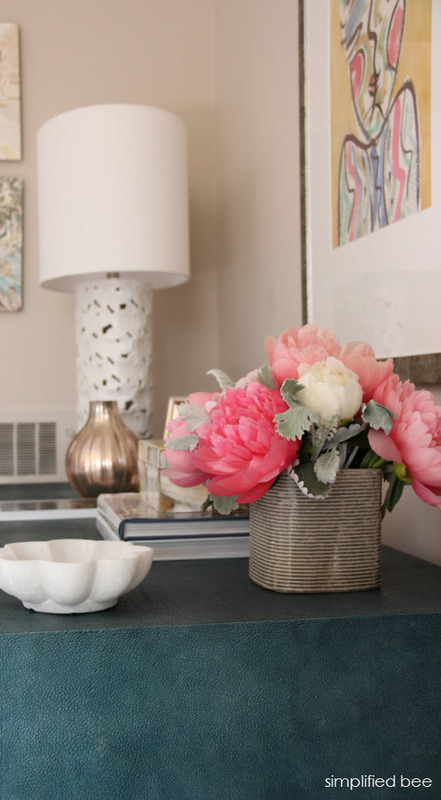 And in case you missed it, here’s a tour of the Show House’s Guest Bedroom and Card Room. 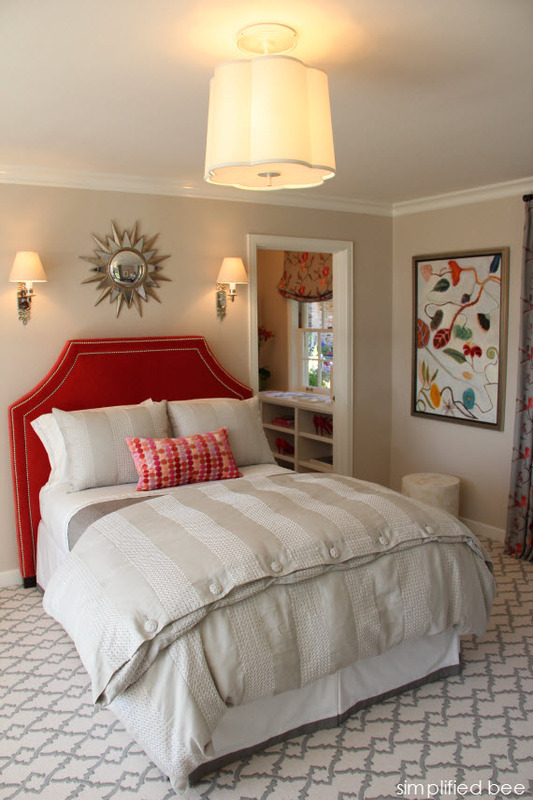 Thanks Cristin for featuring my room from the Woodside Decorator Show House. It was a fun project! Agreed! Completely lovely. I adore the carpet and the headboard. The curtains pair perfectly!